Everyone knows that the rate of criminal activities has risen to an alarming point. The lawmakers are constantly making new efforts to protect the citizens but it is also the responsibility of people to make efforts to lower down the criminal activities. Garage doors are a gateway to enter your home. Many thefts have happened in the past in which thieves enter through the garage door and steal all the valuables available in a home. 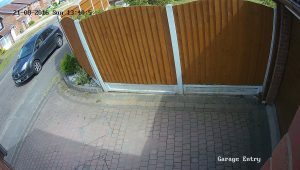 That’s why it is very essential to get CCTV cameras installed at the garage doors. Brands such as HDH Tech are known for their reliable and efficient range of CCTV cameras. Garages are made to park your cars and because they are adjacent to your main entrance, keeping an eye all the time on the garage door is almost impossible. A feasible solution to this is installing a CCTV camera surveillance system on the door of your garage. All the activities happening in that area will be monitored and in case of any intrusion, you will be notified immediately. Your car along with your home will remain safe. CCTV cameras, according to the purpose they serve, are available in a variety of designs. For the safety of your vehicle in the garage, it is advisable to get a wall mounted CCTV installed above the door of your garage. It will cover everything happening around and with the garage door. If you want enhanced security, then you can also get a spy camera installed inside your garage. There can’t be any better solution to monitor what is happening inside your garage. With CCTV camera installed on the door of your garage, you can remain worry-free and can concentrate on all other activities.